This in-depth article will provide a close look at some of the best online sewing pattern companies. 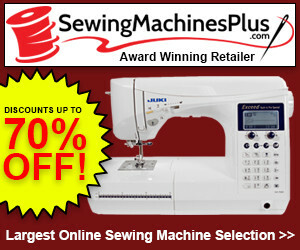 You will find that their offerings will allow you to make your sewing projects look great. 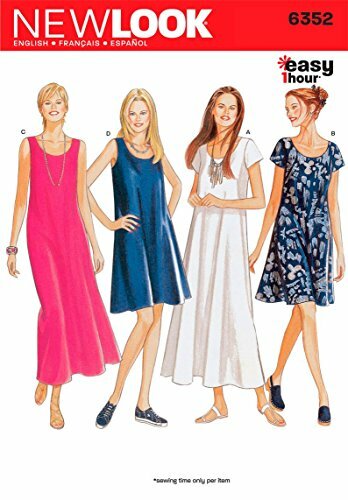 You can use their sewing patterns to make the trendiest garments in the comfort of your own home. The patterns are cheap and the dresses outlined are also quite easy to make. South London seamstress Tilly Walnes gave up her full-time job, thanks to her successful sewing blog which has millions of followers of all ages. She is also the owner of one of the best online sewing pattern companies. The celebrity seamstress has her own dressmaking pattern business and is the author of popular books on sewing patterns. Tilly Walnes also conducts sewing workshops to promote the art of sewing which is rapidly becoming more and more popular. Her blog has been read by around 3 million people worldwide. She was also featured in the first series of BBC’s “The Great British Sewing Bee”. Speaking about the reason for her success, she says that many of her workshops and patterns are designed for beginners. All steps are explained clearly and confusing jargon is avoided. Tilly Walnes is the author of “Tilly and the Buttons: Stretch! : Make Yourself Comfortable Sewing with Knit Fabrics”. The dress patterns have been designed for attire that is quick and easy to sew. She combines her signature style with stretch fabrics for seriously trendy apparel that is easy to make and very comfortable too. Tilly explains everything step-by-step proving that it is not at all hard to make comfortable and stylish garments in your own home with the help of her sewing patterns. Not only will you be proud of your own fabulous creations, but you will also love the compliments that you get from others. 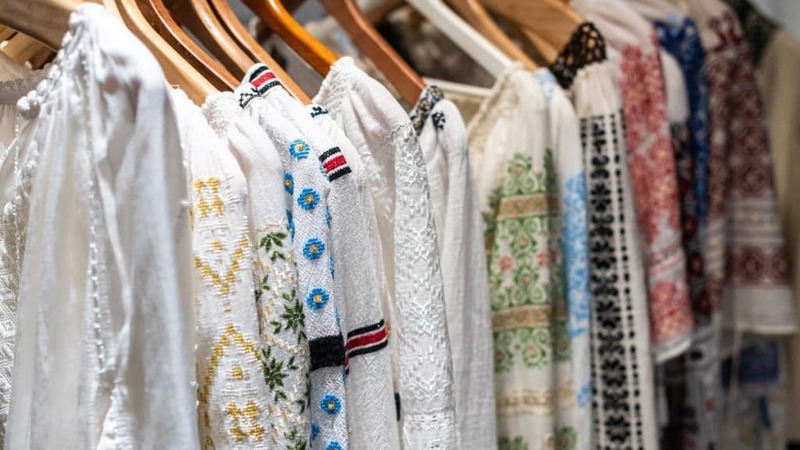 You will get even more satisfaction from the astonishment and admiration of friends and family when you reveal that you are wearing hand-crafted attire. The book delves into stretch fabrics which can be tricky even for experienced crafters. It is basically aimed towards crafters who have a good hold of the basics and want to move on to crafting exciting garments. All steps are clearly outlined and explained in very simple language that is easy to follow. There are plenty of photographs to illustrate the sewing process. Several useful tips and tricks have been mentioned to make you an accomplished dressmaker. The best part is that you will be trained to work with stretch fabric using a regular sewing machine – there is no need for you to invest in a fancy overlocker. A number of ideas have been given so that you can customize the garments according to your preferences. 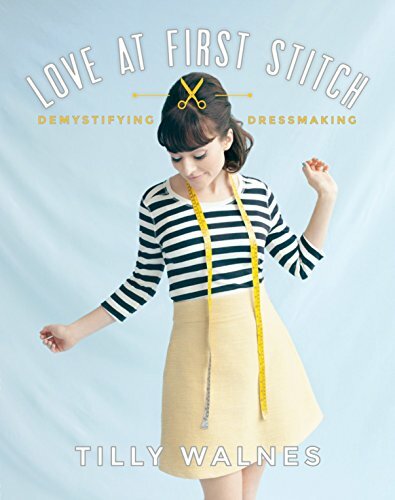 Tilly Walnes has also written the very popular “Love at First Stitch: Demystifying Dressmaking.” Seven easy sewing patterns have been provided to make dressmaking easy. This book will provide the perfect start for budding novice crafters to make their very first garments which are simple and easy to make, yet elegant and fashionable. If you are tired of drab manuals that are replete with fancy jargon and frumpy projects, then this is the book for you. 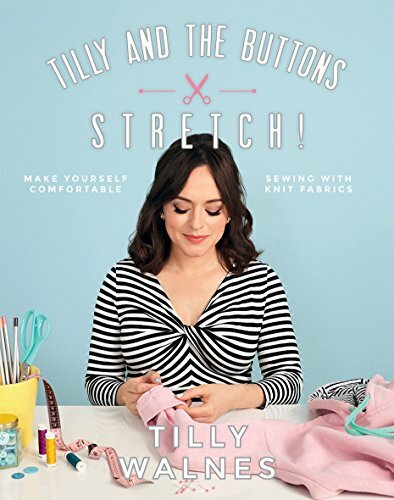 Tilly Walnes has proven with this book that making your own attire can be much more exciting and fulfilling than buying readymade clothing. Crafting exquisite garments that turn heads and draw out admiration is now within your reach. The projects have been designed in order of increasing complexity. You will learn new skills with each project and build up your sewing expertise as you progress. Everything has been explained step-by-step and fully illustrated with wonderful photographs so that you can instantly grasp new concepts without having to struggle with tediously long text. There are several tips and tricks which will help you to establish your own signature sewing style. Everything has been written in an easy going informal style which will gently encourage you to succeed. The book is ideal for enthusiastic novice crafters who are clueless about the art of dressmaking – a craft that has been almost forgotten for a generation and is steadily making a return. The book is playing a key role in rejuvenating this key life skill. Just about everything important has been covered including: what to look for in a fabric shop, how to choose (or even borrow) your first sewing machine, and the perfect way to press your clothes. The sewing patterns will provide great convenience and make it easy for you to sew the best garments for yourself and others. This is one of the best online sewing pattern companies that publish sewing pattern manuals under several renowned brand names such as “New Look”, “It’s So Easy,” and “Simplicity Pattern”. The company was founded in New York City in 1927 under the most unfortunate circumstances: the Great Depression. In spite of the dire economic scenario, the company quickly gained popularity and grew from strength to strength. Through the quality of its design patterns, the company soon became one of the most recognized brands in this niche. The patterns are manufactured in the US and distributed throughout the world by Burda and other third-party distributors. The company has now been acquired by CSS Industries. A number of sewing machines, sewing supplies, and dollhouse kits are manufactured under the company’s name through license. One key focus of this design pattern company is to emulate haute couture. Simplicity makes over 1,600 patterns to give you a wide choice of splendid designs to choose from. Simplicity has published a number of popular pattern books such as “New Look Sewing Pattern 6352 Misses Dresses”. The book contains patterns for Misses Dresses in a variety of sizes according to New Look Pattern number 6352. It contains instructions in English, French, and Spanish. Suggested fabrics for this design pattern includes rayon, suede silks, laundered silks, crepon, crepe, laundered cotton, and crinkled gauze. The simple and well-illustrated instructions will allow you to fashion garments that are virtually indistinguishable from expensive designer labels. With Vogue Patterns, you will be able to create high fashion garments in the comfort of your home in addition to always remaining trendy. Vogue Patterns empowers you to create the latest and loveliest dresses that are just a fraction of the very expensive designer attire. Experience the joy of handcrafting pretty dresses that are indistinguishable from the hottest fashion labels. The neighbors will gape with astonishment and friends and family will react with pleasant surprise to discover that you are crafting the most exquisite apparel. The company’s origin goes back to 1892 when publisher Arthur Turnure founded the weekly Vogue fashion magazine. In 1905, Rosa Payne walked into Vogue magazine’s office in 1905 to offer a design pattern. The editors readily agreed. Little did they know, they had just laid the foundation of designer patterns. The patterns grew so popular that a separate Vogue Patterns department was established. Vogue Patterns was then established as a separate company in 1916 and soon the patterns started selling in department stores. Since then, Vogue Patterns has become one of the best online sewing pattern companies. Since its inception, Vogue Patterns have appealed to home crafters and seamstresses. This is due to the comfortable fit and lines of the patterns as well as the depth of detail. For the first time, seamstresses could, in the comfort of their own homes, fashion garments that emulated high-end fashion. 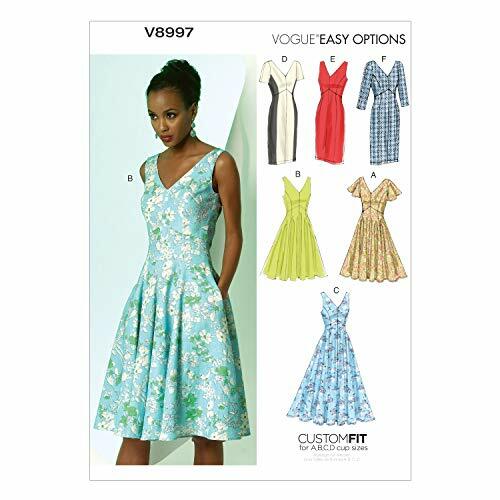 The “Vogue Patterns V8997 Misses’ Dress Sewing Template” is an example of the wonderful dress patterns being offered by the company. The beautiful dresses are easy to sew and can be adapted to the major body types like the hourglass, triangle, inverted triangle, and rectangle. Sewing instructions have been included along with pattern pieces that have been made in the US. Ebenezer Butterick was the pioneering founder of the Butterick pattern making company. He revolutionized home sewing by making the first-ever graded dress pattern. The story behind this innovation is quite fascinating. In the winter of 1863, Ellen Butterick mentioned to her husband – a tailor – how convenient it would be if a pattern existed which could be used repeatedly to make clothes for their baby boy. Since patterns did not exist at that time, the outlines had to be drawn using chalk on the fabric each and every time a garment had to be made for the same dress size – a mundane and tedious chore. Ebenezer mulled over the problem and came up with the idea of a graded dress pattern. He first experimented with cardboard but found them unsuitable for folding. Ebenezer then found the tissue to be flexible, light, and perfect for the role. He soon started selling homemade sewing patterns and they quickly became popular. Within one year, the volume of business grew so quickly that he decided to shift to New York City as the new location for his expanding business. But it was later in 1866 that he made the first dress pattern for ladies garments. Unsurprisingly, they were an instant success. This started a revolution in women’s fashion. Latest haute couture was the exclusive domain of the elite since only they could afford to buy the most expensive fashions from Paris, London, Milan, and New York. The middle class had to wait for outmoded dresses so that they could be used as a model for duplication. This all changed with the advent of the graded dress pattern. Since then, the company has designed some of the very best patterns to become a leader in its field. This can be seen, for instance, in the “BUTTERICK PATTERNS” which will allow you to fashion the prettiest and most delightful women’s tops. The quality of the designs featured in it has made it one of the best online sewing pattern companies. Husband and wife duo Bill Kerr and Sophie Kerr are co-owners of the Modern Quilt Studio. Bill Kerr is a professor in the field of graphic design and former Chair of Art Department at Dominican University, Illinois. Together with his wife, he has co-authored six books on quilting and publishes Modern Quilts Illustrated magazine. They are the pioneers of the modern art of quilt making – a fascinating craft that fell into obscurity in the recent past. The Modern Quilt Studio is one of the best online sewing pattern companies as it provides the liveliest and eye-catching quilt designs. There are even some free design patterns available on their website such as the ‘Sleight of Hand’, ‘Star Bright,’ and a number of other beautiful quilt patterns that are sure to take your fancy. There is also a section on a wide assortment of the most exotic and novel quilt patterns that are being sold for a nominal price. 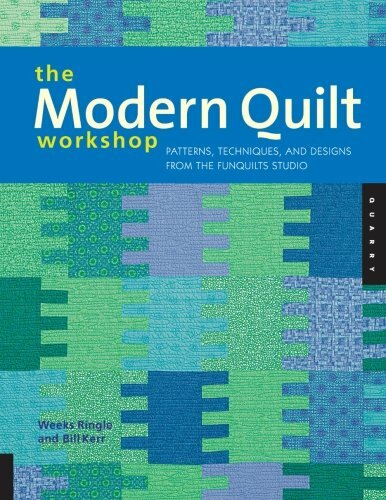 Bill Kerr has co-authored “The Modern Quilt Workshop: Patterns, Techniques, and Designs from the FunQuilts Studio” with contributions from Weeks Ringle. Sewing patterns have been provided to allow you to make the best quilts with great ease. Quilt making enthusiasts can easily learn how to use provided quilt patterns, innovative techniques, and contemporary design concepts. Quiltmakers will be intrigued by the ways in which these seemingly simple patterns can be transmuted into fine works of art. The well-written book has been written in simple language that everyone will be able to understand. The projects have been graded sensibly so that quilting enthusiasts can learn new skills starting from the basics right up to advanced techniques. The colorful photographs make it a wonderful visual reference. Quiltmakers can learn quickly with lucid illustrations rather than struggle with dry jargon-filled text. The book has much to offer to both novice and experienced quiltmakers – they will all appreciate the sewing patterns in particular. Modern Quilt Studios has distinguished itself as one of the best online sewing pattern companies for quilts. This was a brief description of some of the best online sewing pattern companies right now. You can try out some of their patterns to understand why they are the very best in the business. You will be delighted by the quality of the dresses that you will be able to produce inexpensively through these patterns.